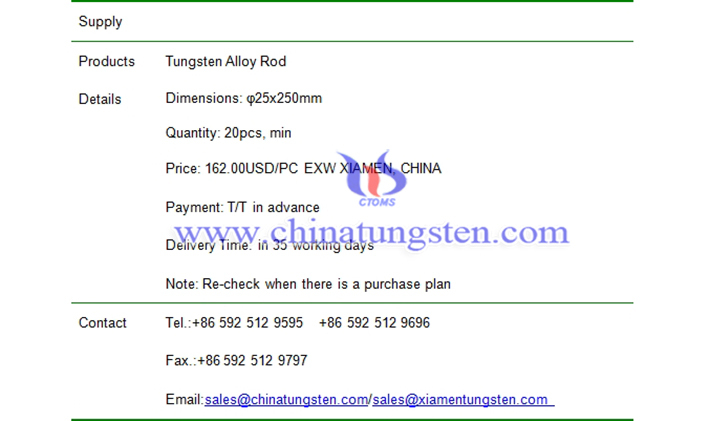 φ25x250mm tungsten alloy rod price is 162.00USD/PC on Mar. 05, 2019. The composition of the bar is 92WNIFE with density of about 17.3g/cm3. 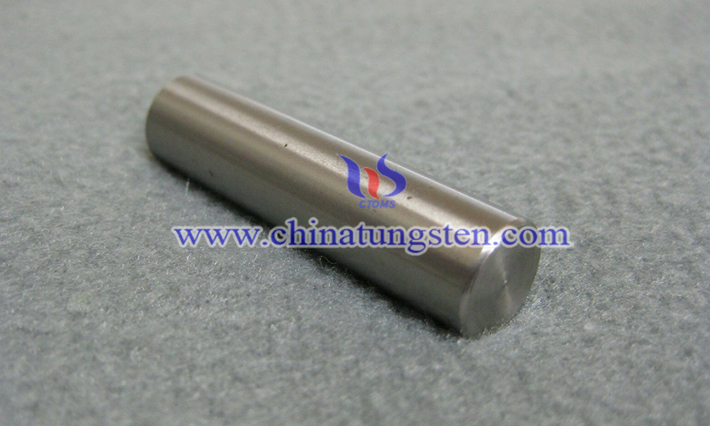 Tungsten heavy alloy rod has characters of high density, excellent formability and machinability, outstanding corrosion resistance, high modulus of elasticity, impressive thermal conductivity and low thermal expansion.